Shrewsbury – Roscoe C. “Rockie” Blunt Jr., 85, an award-winning police reporter and renowned author, died Thursday Feb. 10, 2011, in UMass Memorial Medical Center after an illness. A native of Worcester, he had lived in Shrewsburysince1948. Mr. Blunt was a World War II Army veteran and a survivor of the Belgian Ardennes Forest “Battle of the Bulge” Campaign and was awarded three battle stars, a Bronze Star and a Purple Heart. During the war, he was a mine and booby trap technician with the 84th “Railsplitter” Infantry Division in France, Holland, Belgium and Germany. Before his overseas duty, he was the youngest GI in the country to be awarded the Expert Infantry Badge. Mr. Blunt was an investigative police and fire reporter for most of his 32 years with the former Worcester Evening Gazette. At the time of his retirement in 1989, he was considered by Massachusetts State Police and other police agencies to be the dean of police reporters in Massachusetts. During his career, he covered police news throughout Central Massachusetts. During his long career covering law enforcement and fire news, he received 35 awards for his work, including three keys to the city of Worcester, and, in 1984, was named “Man of the Year” by the Massachusetts Registry of Motor Vehicles Police Association. He started with the newspaper as a boy in the late 1930s as an Ace Carrier for the Evening Gazette, covering six and a half miles, taking three hours to complete each day on foot and earning $3 a week. Mr. Blunt was the author of four books, “The Blunts: A History,” which traced his family to medieval England and 12 generations in New England, as well as “Inside the Battle of the Bulge, A Private Comes of Age,” “Foot Soldier: A Combat Infantryman's War in Europe” and “Police Beat,” which related his law enforcement-related career. He was a well-known television and radio personality in the Northeast. He graduated from the former South High School in Worcester, attended Clark University before his military service and graduated in 1949 with honors from the New England Conservatory in Boston. He was a well-known jazz drummer throughout Massachusetts, starting as a boy with the former Saxtrum Club in Worcester and continued until the time of his death. During the late 1940s and early 1950s, he led his own band, the “Rockie Blunt All Stars,” believed to be the first integrated band in Central Massachusetts. He was a former president of the Shrewsbury National Little League and, at the time of his death, was a member of the Disabled American Veterans. A world traveler, he was an underwater cinematographer, diving on ship wrecks in Lake Huron, and photographing coral formations in the Caribbean and off South America and the Manatee migration in Florida. Later, after making more than 400 dives in Lake Quinsigamond, he lectured locally as a historian on the lake. In 1973, he and his son, Richard, installed a domed underwater habitat in Lake Quinsigamond, the first in Worcester County. Mr. Blunt, a well-known historian of World War II, lectured on policemedia relations at Clark University, Anna Maria College, Wachusett Community College, Quinsigamond Community College, and on World War II at Worcester Polytechnic Institute and the Military Academy at West Point. He was the son of Roscoe and Edith (Enberg) Blunt of Worcester. He is survived by three sons, Rockie Blunt of West Boylston, Randie A. Blunt of Greenwood, AR, and Richard D. Blunt of Annandale, VA; two grandchildren; and two great-grandchildren. The funeral service was private and under the direction of the Britton-Shrewsbury Funeral Home. Burial, at the convenience of the family, will be at High Plains Cemetery in Oakdale. 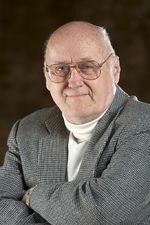 To leave a message of condolence for the family or to view Mr. Blunt's Book of Memories, visit www.brittonfuneralhomes.com.